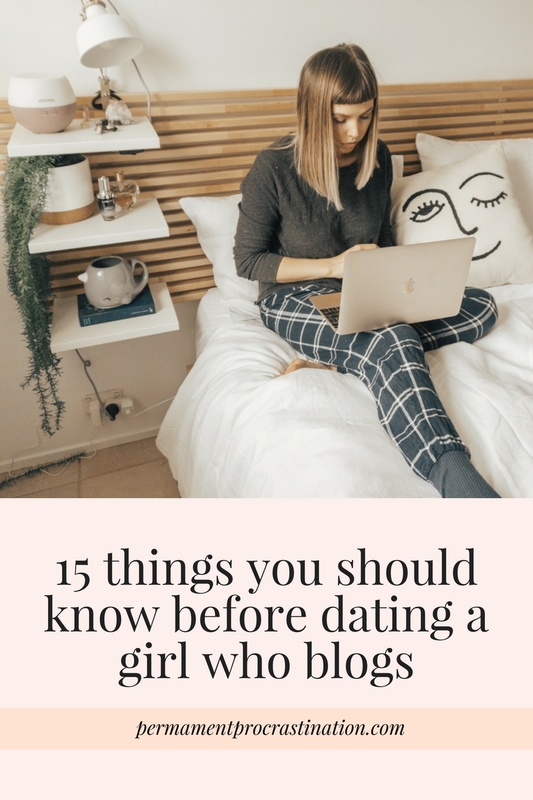 Cosmopolitan UK just posted a supposedly "relatable post", about 15 things you should know before dating a girl who blogs. Any actual blogger who has read it, has laughed and shaken their head disapprovingly. As basically nothing that is in the post is true, not even at all. 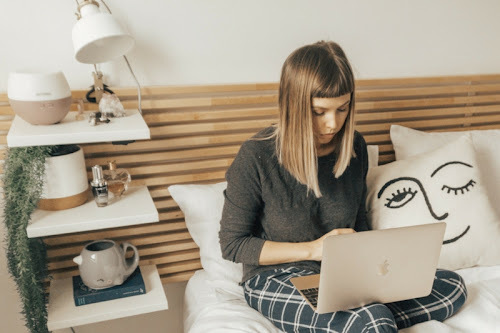 So here's 15 Real Things You Should Know Before Dating a Girl Who Blogs. I'll constantly drag you to new places to review. Do you know how many boutiques, cafes and restaurants are opening up every month around here?? I hope you have a full wallet, cause we're going to be eating out every night. I need you to be my personal photographer. Whether it's for an entire outfit post or just a cute photo of me drinking a coffee at my favourite cafe. Please take a whole bunch and make it candid! You may get mentioned in a post every now and then. Maybe I'll just mention that you came with me to the new brunch spot, or maybe I'll write an entire post about you and the fact that you leave socks around the house and never pick them up. One thing is for sure, I promise not to post any sleeping photos of you to instagram. Cross my heart. I want you to read my new post. I don't caaare if you don't have a personal opinion on the new contour palette by Anastasia Beverly Hills. Read the damn post. Does it sound crazy? I mean does it sound too crazy? I'll constantly be reviewing new products around the house. What on earth am I drinking? It's a teatox. Where did all of these new home fragrances come from? Why does the house smell like a box of fruit? Just trialling them out. I'll be on my phone a lot. A LOT. I promise to give you a lot of attention too though! But don't be mad, a huge chunk of my life is on that phone! I'm keeping in contact with my twitter friends, my insta friends, checking my google analytics, my emails, not to mention texting my regular friends. How many cats have I collected on Neko Atsume?? We'll whinge about how much stuff we have to do and write about, then we will still sit down and watch every new episode of all the new Marvel & DC tv shows that we have access to. Then whinge that we're too tired to blog now, and have to go to bed. Or is this just me? Way too much of our money goes towards clothes and beauty products. Well mine all goes towards plants. But I definitely spend a lot on those things too. It's like purchasing content for your blog! It's an investment! Random crap will show up everywhere, "Photo Props". My poor partner has to move my random marble backdrops around the house constantly. It's on the couch, near the back door, on the dining table. What can I say, I follow the good lighting. We will be super excited about any blog meets, but also super nervous. Sorry that I went on and on about this blog meet, for every day since I bought the ticket. But I am so keen! I can't wait to meet everyone! Omg what am I going to wear?? What if my makeup skills aren't up to par? What if no one talks to me?? You'll see us walk around the house in full makeup and pyjamas. The photos have been taken, and these pants are incredibly comfortable. 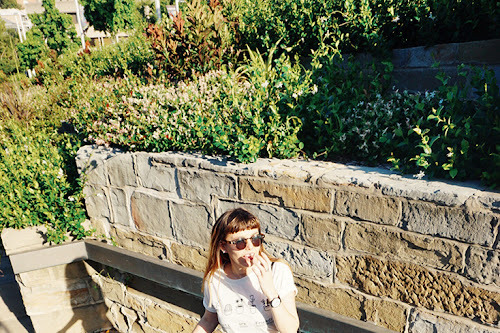 I don't need to blog wearing skinny jeans. Who's gonna know? Whatever you buy us for our birthdays or Christmas, better be cool. Because it will be featured in our gift haul posts. We don't want to awkward post that bae bought us some socks for our anniversary. Unless they're freaking fantastic. Like these badboys. You can't tell us what to write about. I'm sorry, you disagree with my strongly worded post about how disappointed I am that there's No Rey Merchandise from the new Star Wars Movie?? Ha see ya later. We drag you along to all the awesome and free stuff we get invited to. That's right babe free tickets to a stageshow this weekend so I can review it! Looks like dessert is on the house tonight, so I can write a rave review. Being a blogger girls partner means auto invite to anything sweet we get to do. Haha! Thanks for reading everyone! I hope you found this at least slightly more relatable than that stupid post by Cosmo! I'd love to know any things you think someone should know before dating you! Leave it in the comments! This is so perfect omg! I'm reading every single one thinking "yep" "yep" "yepppp"
Best response to that cosmopolitan article ever. A lot more relatable. Every blogger should do this now in reaction to that cosmopolitan article! Yes yes yes! That cosmo article was aaaaaawful. These are all so on point. I mostly just really need a photographer haha. Haha, great post! I can definitely relate to this more than the Cosmo article. Omg this one is totally perfect, love! I guess Cosmo secretly hates blogger, that article was awful! Hah you just made me laugh out loud. Such an incredibly fun post and duh, so true!! Oh my god that Cosmo post is cringe. this however is spot on. This is so true, the Cosmo post was so far off reality that it makes me wonder who actually wrote it! Please forward this to whoever wrote the original article, this is much better! So accurate. Especially the food one - my whole family has accepted they are not allowed to touch anything until I have photographed it from every possible angle. Great response post! Let's not even get into the grammatical errors on the Cosmo post haha. Loved number 5 especially. I can just imagine a bunch of guys struggling to get through an entire beauty post, let alone trying to come out the other side and having to pretend like they care! Wow that Cosmo article is basically a piece of crap to be nice, lol. It's obviously written by someone who has never come into contact with a blogger, well it at least seems that way lol. It's honestly so boring and unengaging. Yours on the other hand Tegan is great, haha. It's always good when we can make fun of ourselves and laugh at ourselves. I would honestly send your article in as a response to that article and see if they do anything with it, haha. I read that Cosmopolitan article this morning and I must say, yours is a thousand times more relatable (and written so much better as well)! I do all of these things and I might just write a similar post one of these days, just to show Cosmo how off the mark they are. I love your blog, btw! It's perfection. No 16. When I say I'm doing work, I'm probably doing something blog-related. I say this all the time when I'm on my phone or laptop. He pretty much understood this after the 27th time he asked me what I'm doing, hahaha! 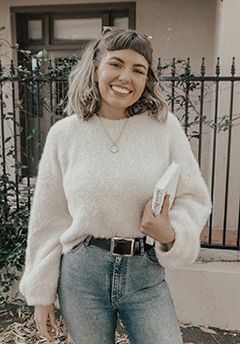 Funny enough, my boyfriend isn't my personal photographer because he is truly abysmal in taking photos, no matter how much I try to teach him. Nor is he quite involved in reading my posts or being mentioned in them. Now THIS is a post I can relate to! Every single one of these is right on point! These are so true and relatable! I had my boyfriend read it and he laughed at how true they were, he thought it was a great post! This is amazingly true! I really had fun reading this blogpost, I've been laughing throughout the article. Hahaha, great post. haha, super cute and relatable post, Tegan! I can relate! hahaha. Amazingly accurate post.